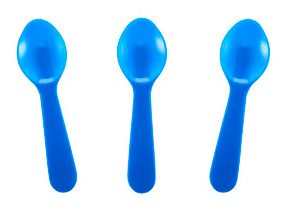 These blue colored plastic taster spoons are perfect for sampling ice cream, gelato, and many other treats. These taster spoons are 3" in length and available in many colors. MADE in USA.